There are myriad reasons to provide free meals to employees, whether on a regular basis or as a surprise token of appreciation: office meals boost morale, enhance job satisfaction, and can have a positive impact on health and wellness in the workplace. 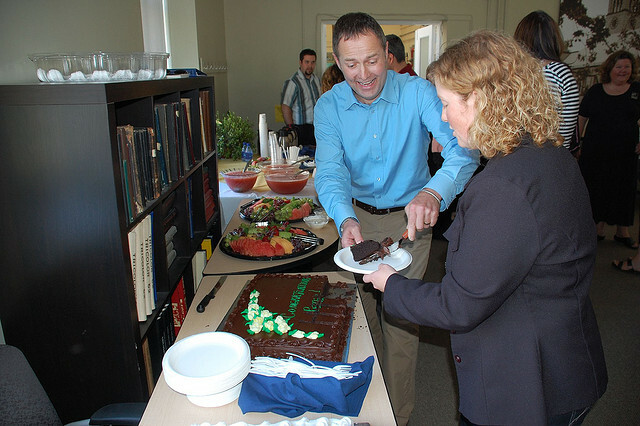 One of the most important outcomes of office meals, however, is an enhanced sense of teamwork. 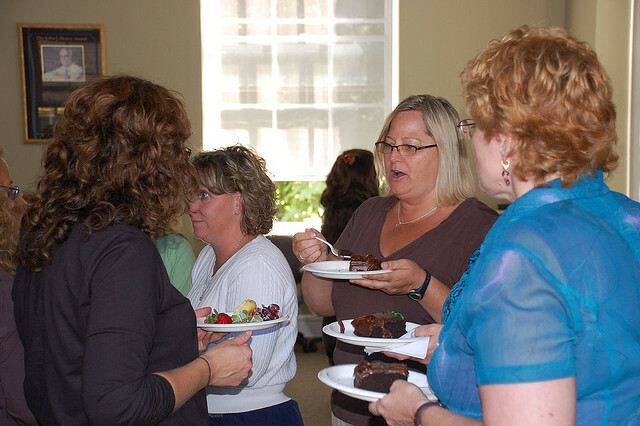 Sharing a meal can build relationships in the workplace. One way to promote a culture of teamwork — of caring about a common goal or a group project more than individual recognition or accomplishment — is to foster social bonds and friendships in the office. After all, even when a workload is more solitary, research shows that forming friendships at work can have some very positive impacts. Workplace friendships can increase job satisfaction and lessen the impact of stress. A workplace friendship “improves not only your mood and outlook at work, but also your performance,” Deanna Geddes, Human Resource Management department chair at Temple University, reported to the BBC. Indeed, one recent survey demonstrated that the friendships formed at work can be among the most powerful and emotionally supportive in our lives — especially when the workplace is a stressful or higher-paced environment. Having someone to talk to and rely on at the office can make even the worst day much more bearable than when you feel isolated and alone in the midst of challenging circumstances. What does all of this have to do with food? Well, if social bonds and friendships are key to a positive work environment, then office meals simply provide the opportunity for those bonds to form or strengthen. That’s where careful planning is key: rather than just setting some food in the break room and sending out an email, employers should make a point to invite everyone to share the meal together. Specifically structuring meals as a social occasion sends the message to employees that taking the time to linger over conversations and get to know one another is considered valuable and a worthy use of company resources. Build social bonds and teamwork through meals in the workplace. What’s more, if a catered meal is brought in as a reward for meeting a goal or completing a project, the entire team sitting together to eat, laugh, and reflect on the hard work that led to the point of celebration will only reinforce the ideas of teamwork and collaboration. The next time a challenging project arises, the memory and experience of celebrating success together could serve as a powerful confidence boost. Essentially, eating together as a work team has the same benefits that have been demonstrated time and again for families: it fosters a sense of belonging and a shared, meaningful experience that can build supportive relationships. And when it comes to creating those opportunities, the expert team at Waiter.com can help you plan the perfect menu or delivery order that will ensure every member of your team has a positive, delicious experience. 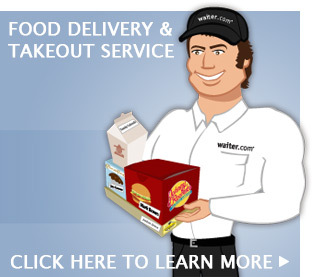 Discover delicious options available from Waiter.com! When it comes to feeding employees and coworkers, make your company's food program really count! If your workplace dining plan needs to take it up a notch — or if you don't have one at all — Waiter.com is here to help. From Virtual Cafeteria Service to diverse menus to local takeout & delivery, Waiter.com offers customizable dining solutions for every business and budget. Contact us today to get started! What if you have a disability that does not allow you to eat with everyone, but it is almost a requirement? Any thoughts? People think that I am “standoffish” because eating makes me physically ill. I also know that their are people who are on diets and others have food allergies. Is it possible to make feeling like an outsider because of a health issue any more uncomfortable than pushing it on me at work? Why food? Why not be creative and think of something that EVERYONE can enjoy? Pay? Bonus? Send us home early? Health ins. credits? I don’t need someone shoving anything else down my throat, literally. Give everyone something that they want and something that they can use. Thanks for helping us see things from a different perspective, Gary! While food is commonly used as a way to reward employees or encourage team-building at work, it may not be ideal for everyone. We don’t know the dynamics of your work situation, but you may be able to facilitate change by suggesting that employees engage in team-building activities that do not revolve around food. Your company might even consider allowing employees to opt out of scheduled office meals in favor of alternative incentives and rewards. Good luck, and let us know if you and your employer are able to find a solution! Your employees will be thrilled when you take advantage of the best business lunch services out there. Learn how to boost employee morale with great food at great prices! Click here to contact Waiter.com! Power Through the Day With Office Lunch Delivery in San Bruno! Get Quick, Easy Chinese Delivery Around Los Altos! Corporate Lunch Catering Made Easy With These Fine Restaurants! Feed Everyone at the Party With Mexican Catering in San Jose! Excellent Lunch Food Is Only a Few Clicks Away! Use a Lunch Delivery Service To Bite Into Your Next Meal in Menlo Park! Time for a Lunch Break! Where Will You Get Your Next Meal?